I met Eva through Instagram when I swung by one afternoon to try the crepes at her French creperie Crepes a La Carte up near Camden. 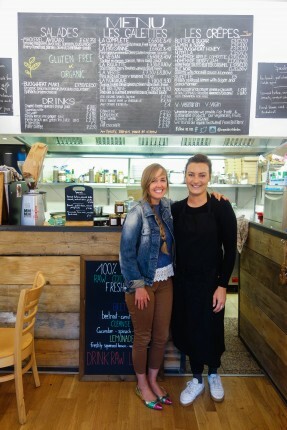 Their thing is sweet and savoury French galettes and crepes with unusual ‘good for you’ toppings along with raw, healthy and homemade desserts and juices. 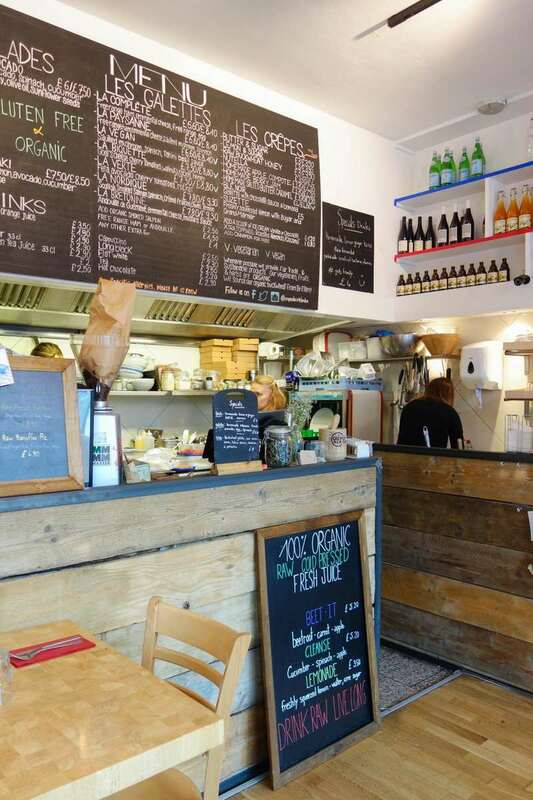 Having loved it so much on my first visit, it’s since been the venue for one of my London Food Socials and is always somewhere I recommend for any anyone wanting good but nutritious food in North London. 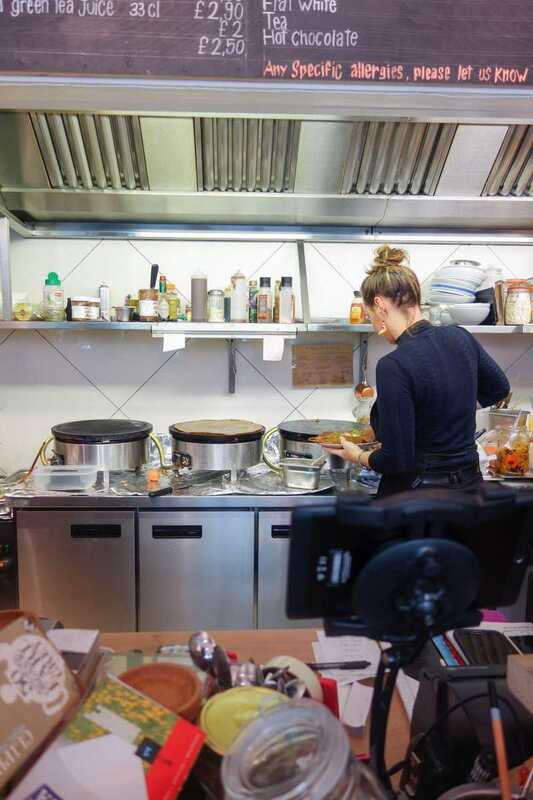 What I love about Eva is her genuine passion for her hometown of Brittany, France and how she not only wanted to bring authentic Bretagne crepes to the people of London but how she wanted to do it with HER own healthy and experimental stamp on it (The raw homemade salted caramel is the dream!). 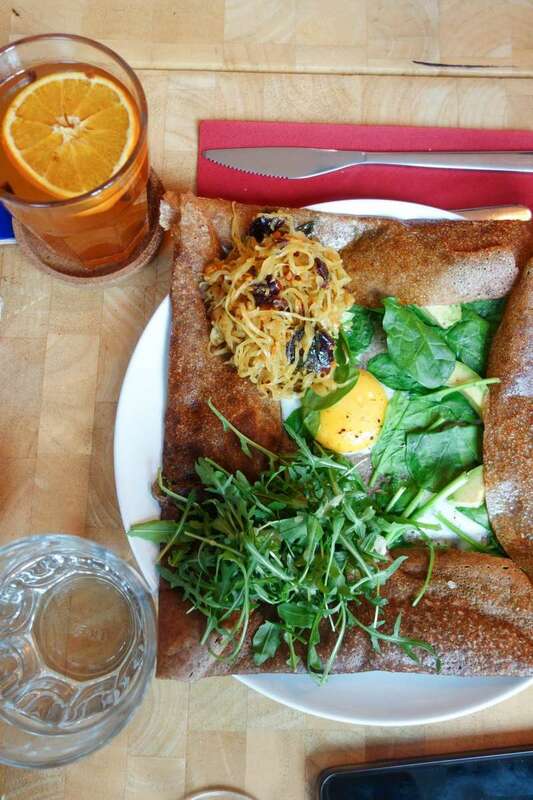 How did Crepes A La Carte come about and what’s the story behind it? Everything started in 2012 when I moved in London with my business partner. Firstly we wanted to improve our English and decided to set up a stall at Camden market selling crêpes and galettes which are a speciality from Brittany in France. A region where we come from. We drove all the way from Brittany with 2 cookers in the boot of the car and straight away put in the stall. How funny! What are the best bits about Crepes A La Carte? Having your own business is something that is great and rewarding. You have to work with different people with different skills. You never stop learning about yourself. Also, you meet so many great people. Like you! Every day is a different day and is never easy. It all depends on your capacity to adapt. Running a street food stall is not simple. You have to be constant and always up and having the restaurant now is even more intense. Nevertheless, it’s absolutely awesome. It’s definitely work dedication. Going after each day with passion and drive. Doing what you really love is worthy. Working every weekend can be sometimes heavy because you are not able to enjoy weekend joy but I’m used to it by now. I manage to otherwise enjoy. I love going out with friends, doing pilates (it’s good to lay down after long days standing up ) and running. Also, eating out is a must, I’m a foodie. Giving it a chance and taking risk is always a good idea. Start and just keep going. Don’t try to get it perfect, follow your nose you will figure everything out. If it’s your conviction – keep rolling. That’s my advice! 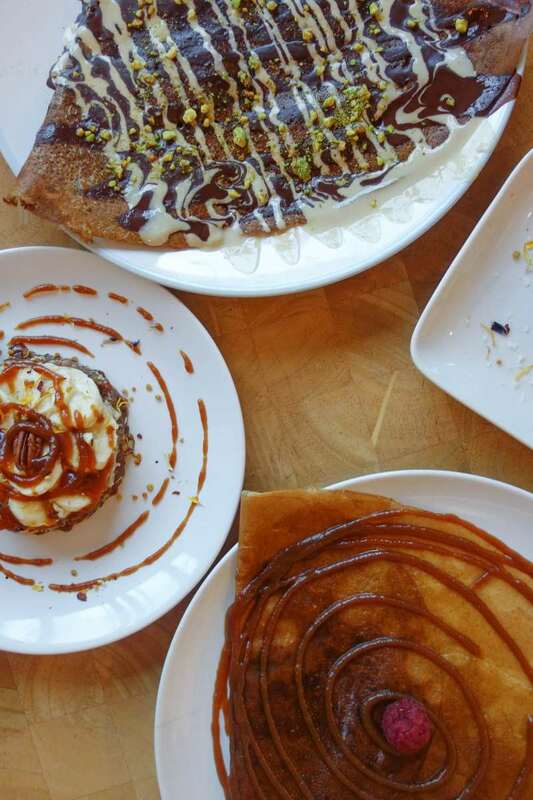 What’s next for Crepes a la Carte? To improve and develop the shop and market stalls. Always enjoying and always learning. Making people happy with what we have to offer. Previous Post Inspiring Women On The London Food Scene – Alice Boyle, Luminary Bakery.